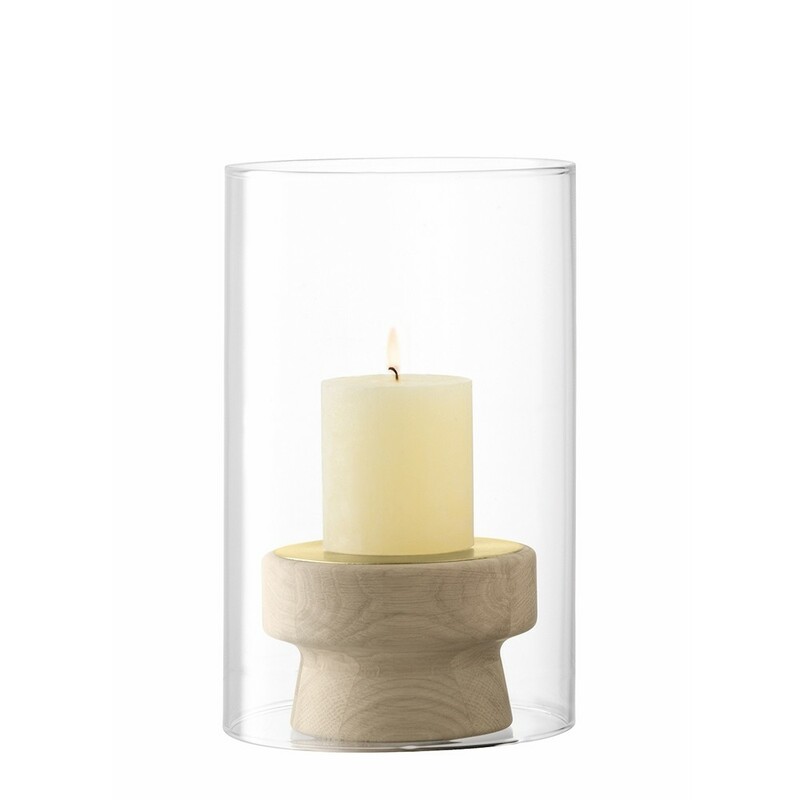 A solid oak candleholder with a glass shade designed to shelter the flame. Inspired by the mistral winds that blow through southern France, these candleholders in the Mistral collection are shaped from solid oak from FSC certified sources and inlaid with brass. The removable glass cylinder is mouthblown by artisans. Arrange in a group to create an elegant display. Supplied with corresponding candles and presented in a photographic box.